It is during November, the Thanksgiving month, that many of us become aware in a special way of all that we have to be thankful for. It is within this state of gratitude that we recall how our lives have been transformed by the love, generosity and hope given to us by others in our life. Many of us are called to ‘give back’ when faced with this realization. Let’s face it, love is something that is not that hard to give away. As anyone who knows, who has given of themselves to another, you most times get back more than you give. We all touch each other’s lives daily and in a variety of ways. 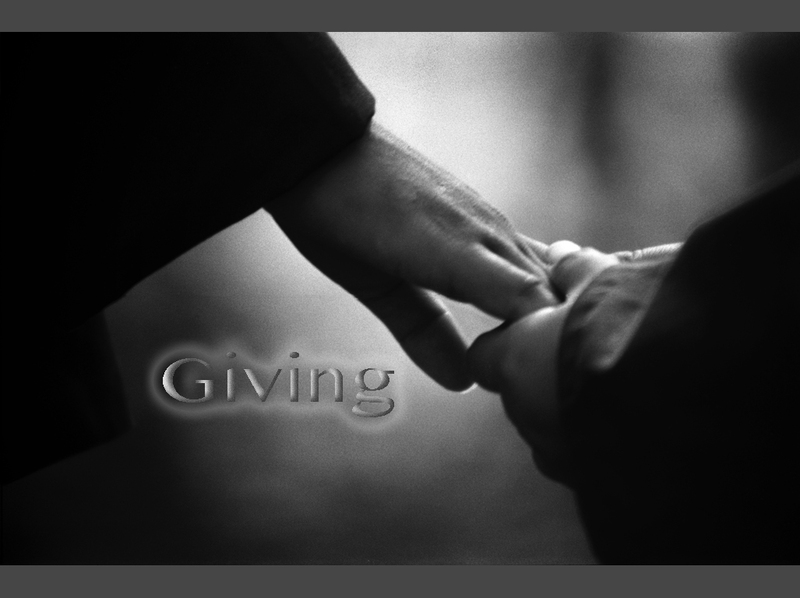 Each interaction becomes a means of passing on care, concern and hope. In 2002 when my family was faced with quite a dose of adversity, our lives were also touched by the love, support and generosity of others on a daily basis. 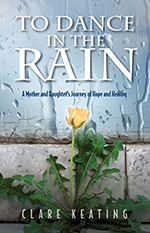 To Dance in the Rain – A Mother and Daughter’s Journey of Hope and Healing is full of instances when countless individuals and groups showed what it means to take care of one another. This is the message that many of us have learned within the faiths in which we worship, but is also, I believe, a natural human calling – to love and care for one another. 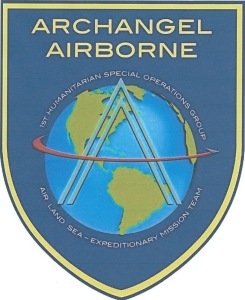 I will have the privilege of joining ARCHANGEL AIRBORNE on its 14th Mission Team Deployment as we travel to Haiti next week. 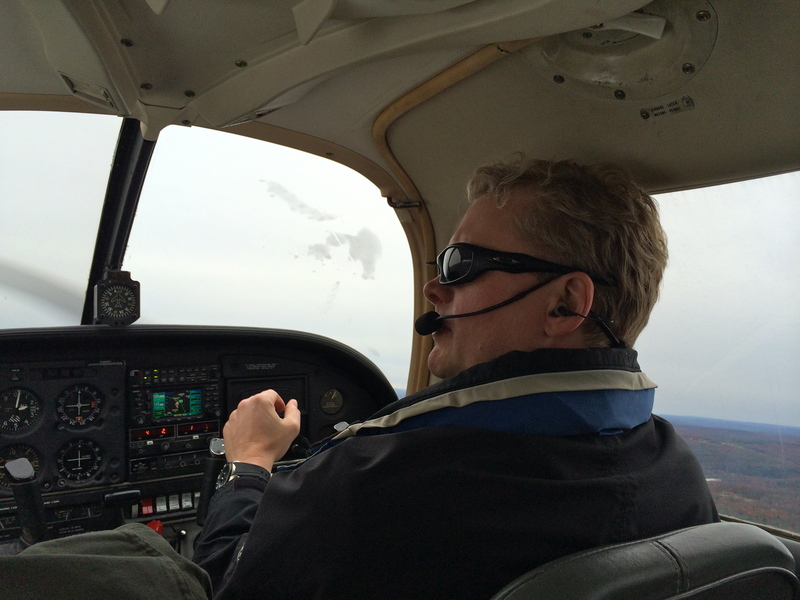 Our team will be utilizing two mission aircraft and land vehicles to provide medical care and training in several locations on the island, working in clinic settings in destitute and remote areas in the south as well as more populated yet equally as poverty stricken ones in the north serving upwards of 2,000 people. We will also be involved in the distribution of water filtration systems. These simple yet effective bucket/filtration systems will assist many with a means to provide disease free water for their families. There are thousands of families in Haiti who still have no access to clean water on a daily basis. The official motto of the team is “In Servitium Ad Omnes” – In Service to All. As a nurse I am very excited to be able to use my medical skills to touch lives there. I also expect to be transformed by each individual I have contact with on this mission. I believe that within each human interaction we give as well as receive. 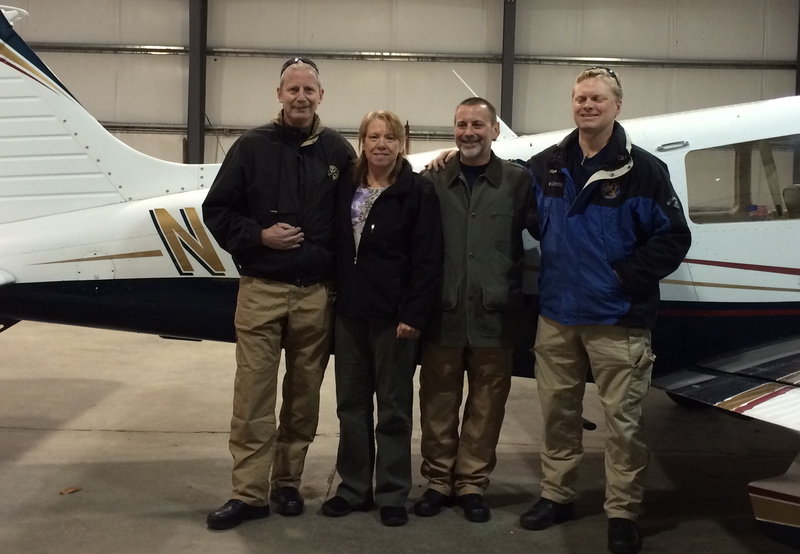 This past weekend members of the ARCHANGEL AIRBORNE team met in Eastern PA for a comprehensive briefing and orientation to the mission. We also took part in orientation to flight operations at the briefing and will continue to receive training and briefings on team skills and crew responsibilities in order to enhance safety and successful mission outcomes.
. Most of us who had only previously had contact during conference calls on our Saturday morning briefings over the last month and a half, finally got to meet some of the other members of the team. What a pleasure it was to finally meet; new friendships rapidly formed. We are all looking forward to meeting again in Haiti next week in order to carry out our mission. There will be 11 team members on this mission. I was introduced to this organization/mission through my boss, Stuart D. Hirsch, who is the Director of Operations for the Department of Emergency Services at St. Mary’s Hospital in Waterbury. He is the founder, president and CEO of ARCHANGEL AIRBORNE as well as the Chief Mission Officer in Command for all deployments. He created this 1st Humanitarian Special Operations Group in 2010 following the devastating Earthquake in Haiti after over a decade of planning and infrastructure building. He has been an professional aviator and instructor pilot for many years and an has an extensive background in EMS, involved in emergency and disaster response as a firefighter and water rescue scuba diver, as well as serving as an airborne rescue and helicopter medevac operations specialist. He has also worked extensively in the area of Emergency Services as a consultant nationally and at the director level, using strategic and tactical approaches to transform teams and ensure higher performance and successful mission completion. He has brought all of his passions together within his organization, making it a smooth running, efficiently structured and highly effective, tactical means of providing care, compassion, hope and support to thousands around the world in the last four years. 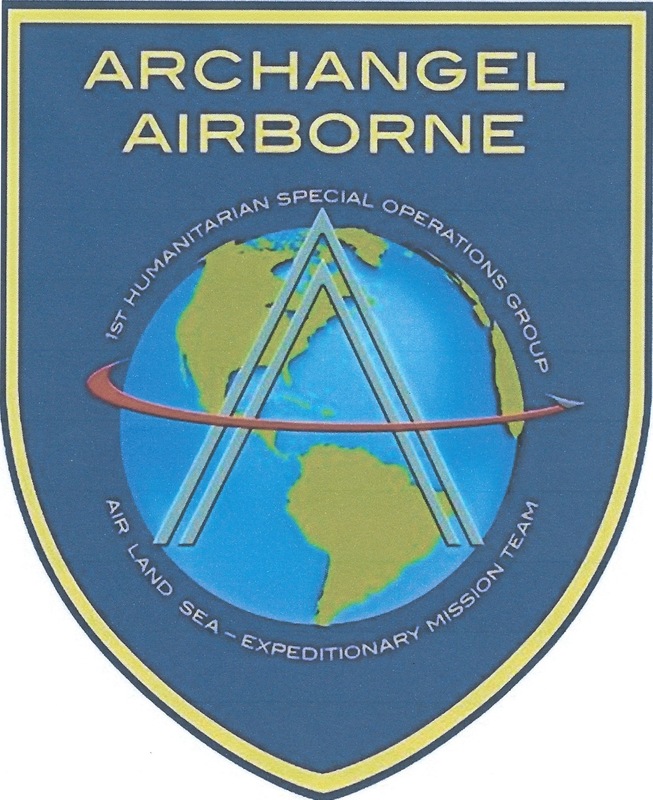 I am grateful and excited to be involved with ARCHANGEL AIRBORNE. I would ask you all to keep us in your thoughts and prayers as we head south in the upcoming days. I also encourage anyone who would like to contribute to this worthy cause to do so on the ARCHANGEL AIRBORNE site. Your financial support would be greatly appreciated; 100% of all donations go directly to mission operations.